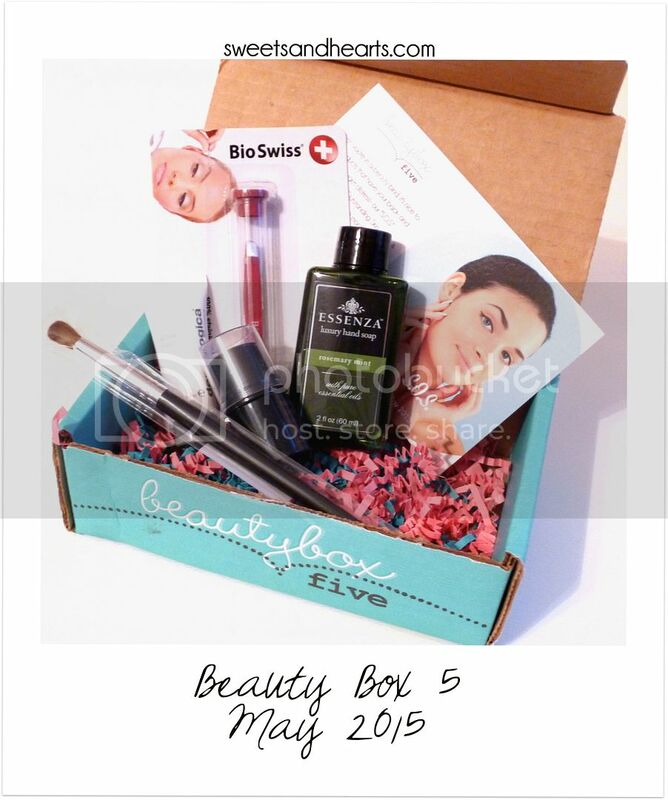 Beauty Box 5's May box was a refreshing mix of items they haven't really had before. I liked that it was so different this time around. Essenza - Luxury Hand Soap in Rosemary Mint - This hand soap had the loveliest rosemary mint scent. It has a light lather and the scent doesn't linger so it won't interfere with any lotion or hand cream you might want to use afterwards. Bio Swiss - Stainless Steel Mini Tweezer - I liked the fact that these tweezers were small and portable, but I could hardly grab any hairs with them. The ends aren't very precise and I had trouble using them. Coastal Scents - Classic Synthetic Brush BR-C-N08 - This makeup brush is fully, lightly rounded at the tip, and has soft bristles. 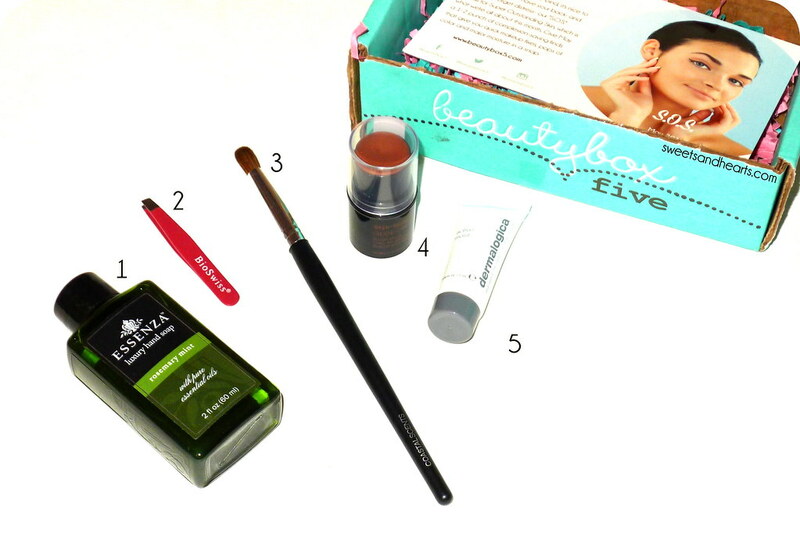 It makes a great eye shadow crease brush and can be used for blending. It picks up just the right amount of shadow and is easy to use. 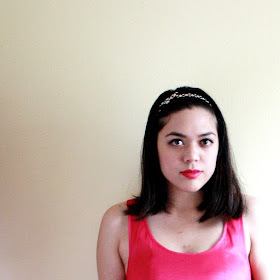 Styli-Style - Blush Highlighter Stick in "Bittersweet" - I loved this blush stick! It's creamy and easy to blend (apply just a little at a time because it's pretty pigmented and the color is buildable). The shade I tried ("Bittersweet") was a bronze-y rose with a little shimmer. Perfect for summer! Dermalogica- Active Moist Face Lotion - Oil free and lightweight, this moisturizer absorbs fast and contains amino acids. It worked well on my dry/combo skin too!